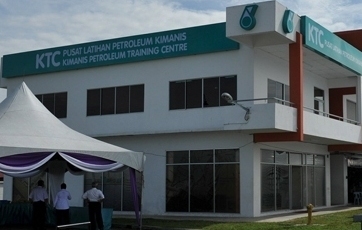 Urgently needed 1 Civil & Structural Inspector and 1 Mechanical & Electrical Inspector for the construction project in Kimanis Training Centre, Sabah. The M&E Inspector must be qualified by valid certificate / diploma in Mechanical and / or Electrical course from Politeknik Institution or equivalent. He shall have experience in the building construction industry in the area of mechanical and electrical installation, inspection and testing. The M&E Inspector shall have a minimum of three (3) years experience in mechanical and electrical systems of the buildings respectively. He shall work with at least 2 projects for PCSB projects or other PSC projects. Minimum qualification for this position is SPM / High School Level. The age qualification for the inspector must be 55 years old and below. The Civil & Structure Inspector shall have experience in the oil & gas onshore industry in the area of Civil and Structure installation, inspection and testing. The Civil & Structure Inspector shall have a minimum of three (3) years working experience and able to interpret results magnetic particle and dye penetrant testing. He shall work with at least 2 projects for PCSB projects or other PSC projects. Minimum qualification for this position is SPM / High School Level. The age qualification for the inspector must be 55 years old and below. Please sent your resume/CV, photo and certificates to mohdnorahmad@yahoo.com with current salary, expected salary dan availability.